It seems only appropriate that my first chef technique or tip is based on Latin cooking. 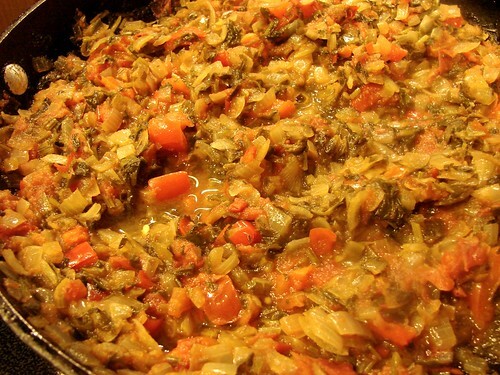 This is the backbone of almost every Latin American sauce, casserole, stew, in reality, of most dishes. You will come across slight variations in the ingredients depending on the country. Cubans add cumin, bay leaves and oregano, while Dominicans may add achiote (annatto seeds). In Puerto Rico, you may find they add capers and olives. 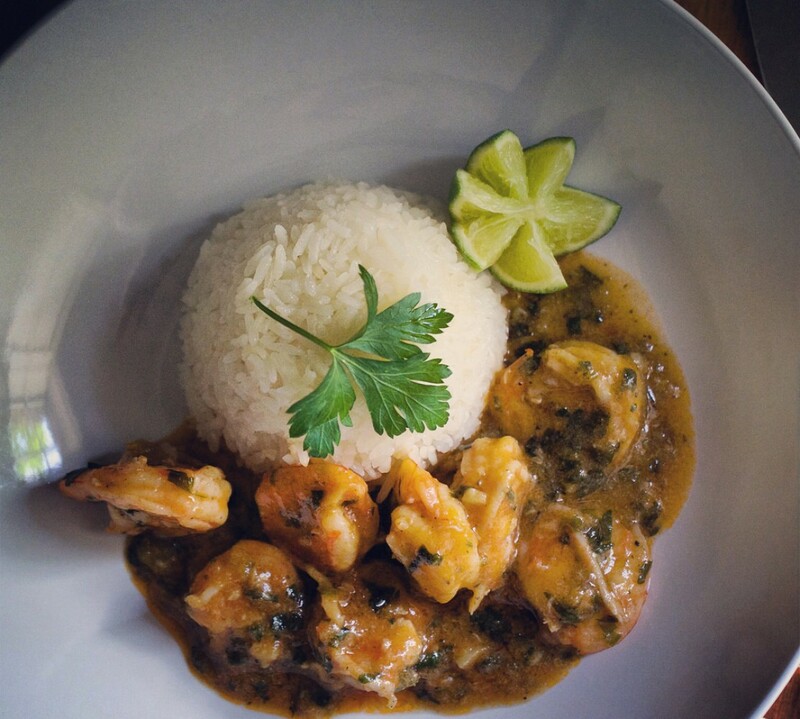 I’m talking about Sofrito and I’m going to tell you how we make it in Panama. 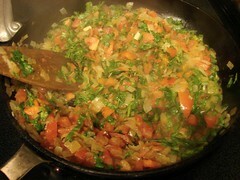 As I mentioned, it is a great base for tomato-based sauces, casseroles and complex rice dishes. I use it for beans too. It’s uses are endless. Here we go. Heat the oil in a medium saute pan and add the onions. 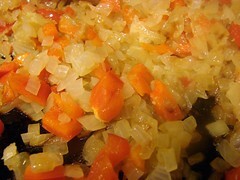 Sweat them for about 3 minutes, then add the bell pepper and garlic–cook until all vegetables have softened. 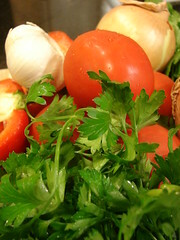 Now add the tomatoes, culantro, parsley and habanero sauce, finally add the wine. Lower temperature to medium low and cook for about 20 minutes, stirring occasionally. All the vegetables will begin to disintegrate and it will all look like a paste. You’re done, add to your favorite dish. I use it as the base for stewed chicken, to top fish fillets and loads more.